Scholar Profile - Diana Dushime — Educate! | Preparing youth in Africa with the skills to succeed in today’s economy. The Educate! Scholars at Gayaza High School, an all-girls school outside of Kampala, are an energetic and dedicated group. One in particular, Diana Dushime, has shown particular promise. 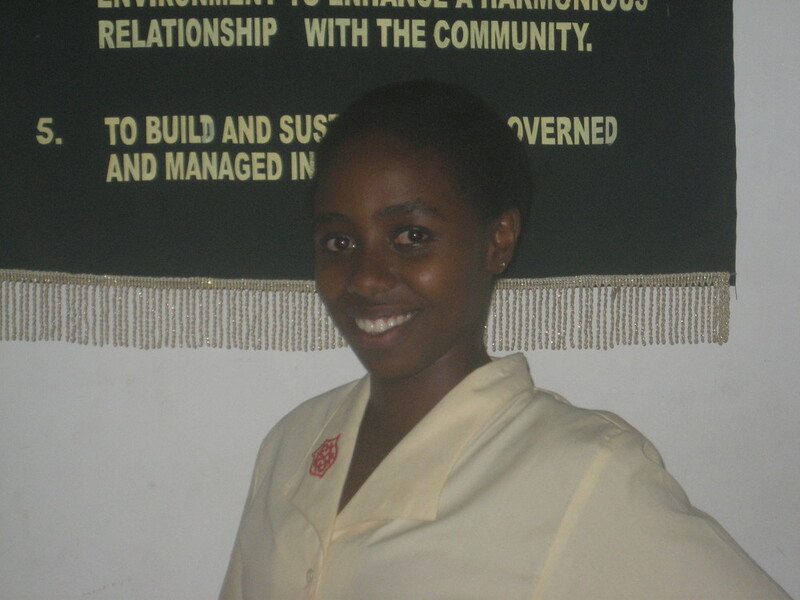 The Gayaza mentor, Sandra, says: “one of the students that makes my week is Diana. She’s so full of life. She pushes her friends.” Diana joined the Experience to expand her education beyond the classroom. While valuing the education she’ll receive at Gayaza H.S., Diana believes that her success after graduation will result from her own proactivity. Educate! Scholar Diana DushimeDiana and another student are spearheading a jewelry and hair ribbon project in the Social Entrepreneurship Club (SEC). Diana’s sister taught her to make necklaces, bracelets, and earrings during one of the school vacations, and she is now passing the skill on to the SEC members. The club will then sell the crafts and teach community members how to make the jewelry and hair ribbons – a marketable skill that the benefiting men and women will be able to use to support themselves and their families. To Diana, giving someone a trade through which they will be able to earn their own livelihood is a much more sustainable solution to poverty than continuously providing monetary assistance. Both of Diana’s parents have been incredibly supportive of her involvement in the Educate! Experience. Inspired by the quote: “if I have seen farther than others, it is because I’ve stood on the shoulders of giants” (Isaac Newton), Diana named her mother as one of her giants. Her mother’s knowledge and reason have taught Diana to approach situations with great sensibility, even as she dreams big for her future! Please help Educate! win $5,000 from Ashoka Changemakers!